There is a myriad of documents that can help a family historian. Below is a list of things to ask your family about. 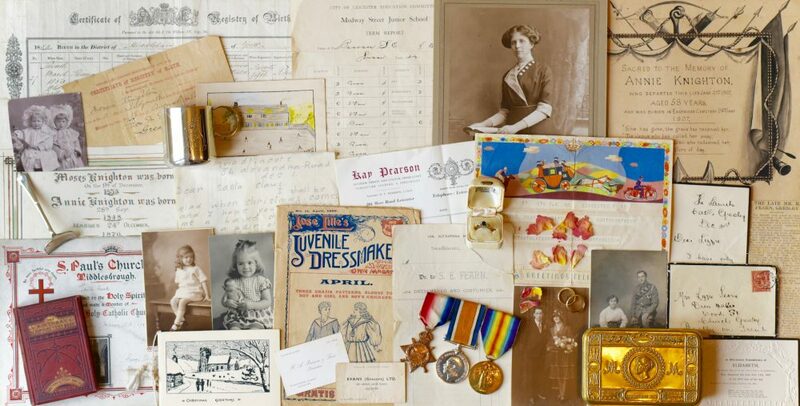 Some items add facts, some, like school reports, letters, diaries add personality to your ancestors story. Others like newspaper articles have both. If you can take copies or transcribe information it could prove useful on your family history adventure. If they are willing to hand them over to you as the family archivists thats great news and also a responsibility. There is a great app for an iphone called Turboscan which turns a photo of a document into an acceptable pdf that can be emailed, printed etc.